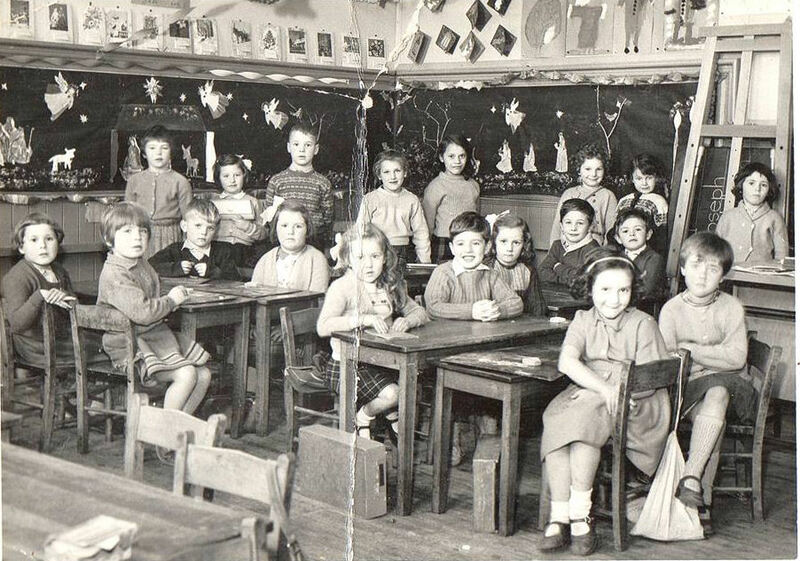 This was taken at Wimblebury Road Infants school about 1961 when I was in the ‘middle ‘class. Some names I remember are;- Janet Lee, Jackie Pool, John Whitehouse, Ivan Skaleski, Anita Collis, Alan Rotchell, Whose mom ‘Nancy Rotchell’ used to be dinner lady, Glenys Hawkins, Ruth Kelly, Carol Townsend, Lynn Holt . It was obviously coming up to Christmas. I loved helping to make the wall frieze and, of course, always a card and calendar.